Here at Orchards Express Auto Care, we believe doing routine maintenance is truly the best way to prevent serious breakdowns and expensive repairs. Regardless of the age of your vehicle, following the manufacturer’s suggested maintenance schedule will keep your car running strong and extend its longevity. 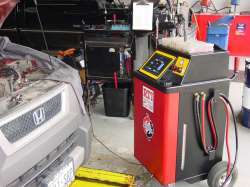 We will perform a complementary multi-point inspection on your vehicle when you bring it in. Even if it’s only for replacing a burned out light bulb! We do this so you may have a peace of mind in knowing what and when your car may need servicing again down the road. The following schedules are listed for general illustrative purposes. We will provide you with the manufacturer’s recommended maintenance schedule for the specific make and model of your car. We understand your vehicle unexpectedly breaking down can be frustrating and it may also leave you stranded. We aim to provide the best service possible to make you feel at ease during such a time. If you ever need emergency vehicle service, please just call us. We will arrange for car to be towed, put you in a courtsey loaner car-if needed and do the repair to get you back on track fast. 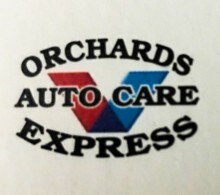 When the unexpected happen, you can count on Orchards Express Auto Care to be there for you. 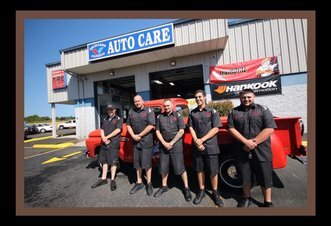 The Service Team at Orchards Express Auto Care is committed to keeping your car or truck in the best possible condition for the least amount of money.....We work for you.